On March 18-19, in Hamburg, Germany, the Annual Meeting of the Baltic Sea Labour Forum (BSLF) took place. Employer organizations together with trade unions from the countries around the Baltic Sea, as well as representatives from the Baltic Sea Parliamentary Conference (BSPC), ministries and other stakeholders joined forces with the Council of the Baltic Sea States (CBSS) to discuss the most topical issues on sustainable working life in the Region. One of the highlights of the meeting was the European Social Fund supported project – Sustainable Working Life – that is being newly launched for the benefit of all Baltic Sea countries and managed by the CBSS. With this project, the Baltic Sea Labour Forum countries, together with the Max Planck Institute, aim to take specific and constructive steps towards improving conditions in the Baltic Sea Region to enable older persons to reap the benefits of, and contribute towards social and economic viability in the region through greater participation in the work force and through entrepreneurship. An address by the Secretary General of the Baltic Sea Parliamentary Conference, Bodo Bahr. Johannes Schraps, Member of the German Bundestag, Päivi Hämäläinen of the Finnish Ministry of Social Affairs and Health, Work and Gender Equality and Olga Korchemkina of the Russian Ministry for Labour and Employment also contributed. For more information, contact Daria Akhutina, Senior Policy Advisor at the Council of the Baltic Sea States: daria.akhutina@cbss.org. The overarching aim of the project is to improve working life conditions and life-long learning provisions, systems and policies for older persons in order to promote active ageing and employability. The project will address three issues, crucial for the socio-economic development of the countries in the Baltic Sea Region – the Demographic challenge, Active ageing and Life Long Learning (LLL). Underpinned by cutting edge research, demographic and labour market forecasts, the project will identify the issues as well as good practices and technological developments in the Baltic Sea Region. The practices will be evaluated, developed and innovated by Thematic Working Groups (TWG) and Knowledge Platforms from a “future work” and “qualifications needed” perspective. Of course, all of our Member States are different and we will be paying close attention to socio-economic and socio-cultural conditions. We are also fortunate to have two non-EU Member States (Russian Federation and Iceland) to broaden our perspective with additional inputs and contrasting views. High Level representatives of the Labour Ministries of the CBSS Member States met on the 15th of June 2017 in Berlin, Germany under the auspices of the Icelandic Presidency of the CBSS, at the venue of the City of Hamburg Representation. The meeting was opened by Mr. Þorsteinn Víglundsson, Minister of Social Affairs and Equality of Iceland and was held as a part of the joint event with the Baltic Sea Labour Forum (BSLF) Annual Round Table. As grounds for discussion, the Policy Recommendations’ paper on issues related to the labour market, based on proposals from BSLF Members, representing both trade unions and employer’s organisations in the Baltic Sea countries, Baltic Sea Parliamentary Conference (BSPC), European Union Strategy for Baltic Sea Region (EUS BSR), Policy Area Education and participants from the Swedish Institute Baltic Leadership Program “Labour mobility”, was delivered to the ministries in advance. Labour mobility: How to reduce brain drain? How can we “stimulate the brain circulation”? Demographic challenges: How to handle and deal with senior policy and silver economy? Knowledge supply: How can labour market forecasting, technological foresights and research help to tackle current challenges of the labour market? Youth employment: How can we maximize opportunities for young individuals in the region? How do the labour markets and regions in Europe need to adapt to the youth’s needs? Additionally, Bernd Hemingway, Deputy Director of the Council of the Baltic Sea Secretariat focused on migration issues related to the labour market, and highlight possibilities and challenges of the integration of migrants and people with special needs into the labour market. Read the full adopted Declaration here. 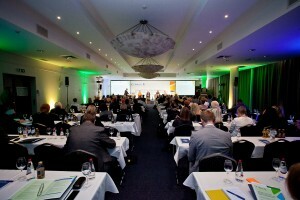 For all presentations of the BSLF Roundtable, please visit the Download section. See the CBSS Flickr for images from the event. A well-functioning skill supply is essential for the competitiveness of the Baltic Sea Region. Skill shortages are already a reality in several member states and the demographic trend is pointing towards an ever-increasing problem. The Baltic Leadership Programme (BLP) Labour Mobility aims at creating a meeting place for relevant actors to discuss opportunities and challenges related to mobile labour market in the Baltic Sea Region. On 30 November 2016, the first module of the programme started in Gdansk, Poland. The programme is a joint effort by the Swedish Institute, the Council of the Baltic Sea States (CBSS), the Norden Association, Policy Area Education and Horizontal Action ’Capacity’ within the European Strategy for the Baltic Sea Region (EUSBSR). BLP-Labour Mobility gives an important input to the further development of the Baltic Sea Labour Forum. BLP-Labour Mobility will be implemented in 2016/17 by starting its first module in Gdansk yesterday, on 30 November, and be finalised with a third module in June 2017 in Berlin, Germany. The programme gathers about 30 participants representing trade unions, employer organisations, state agencies and cross-border services. The result of the programme will be recommendations on how labour mobility can be supported, identifying and removing hindrances but also how the return of needed labour force can be supported, so called “brain circulation”. These recommendations will be ready to be presented at a Round Table in June 2017, involving the Ministers of Labour and Employment of the CBSS Member States. Some of the highlights from the first day were group discussions focusing on building a contextual map of the topic, and an inspiring presentation by Franz Thönnes (MP, former Parliamentary State Secretary, Deputy Chairman of the Committee on Foreign Affairs of the German Bundestag) on “Visions for the Baltic Sea”, accompanied by remarks from Anders Bergström (Strategist, Norden Association). This busy and fruitful day ended with a tour of and a theatre workshop at the European Solidarity Centre in Gdansk. To see the pictures of the Roundtable, please go here. On 2 June, 2015, the members of the BSLF Enlarged Steering Committee gathered in Helsinki for a discussion on the ongoing and future activities of the BSLF framework. The meeting was opened by Jurek Mieczyslaw from Solidarnosc, Poland, followed by a welcome speech by the host of the meeting, Chairman of the STTK, Finland, Antti Palola. They key topic discussed was mobility of labour in the Baltic Sea Region, with each country representative presenting an overview of current labour issues in each of the member countries. The group also reviewed the BSLF terms of reference and agreed to work further on expanding BSLF membership across the region. Katariina Röbbelen-Voigt presented a status report on the EUSBSR seed-money project BSLFmobINIT. The aim of the project is to develop a BSLF-Flagship Project on Mobility of Labour in the framework of the EUSBSR. The work is currently focused on developing three work packages focusing on cross-border labour market information for employees and companies; prevention of undeclared work and the promotion of fair working conditions in the Baltic Sea Region; and vocational mobility, occupational orientation and school-business cooperation. The three work packages will be combined under a flagship consortium. On 3 June the BSLFmobINIT project group gathered in Helsinki for the projects Midterm Evaluation, carrying on the discussions of the Enlarged Steering Group meeting from the previous day, as well as continuing work on the three thematic work packages of the project. In three workshop groups the partners laid out thematic plans as well as potential funding sources for each work package. The project will continue with a workplan development meeting in Gdansk on 18 November 2015, held back-to-back with the BSLF Annual Round Table. 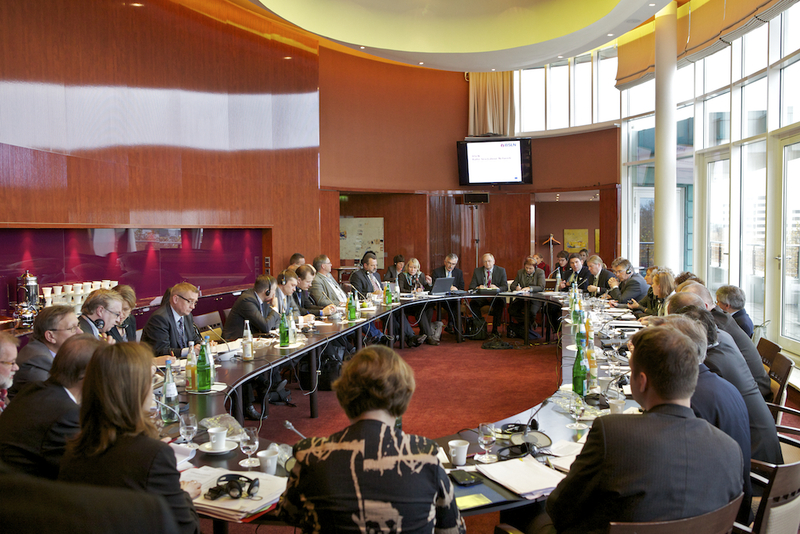 The Baltic Sea Labour Forum (BSLF) concluded its annual Round Table meeting in Helsinki on 1 November. The BSLF Round Table in Helsinki adopted an Action Plan on Cross Border Mobility. 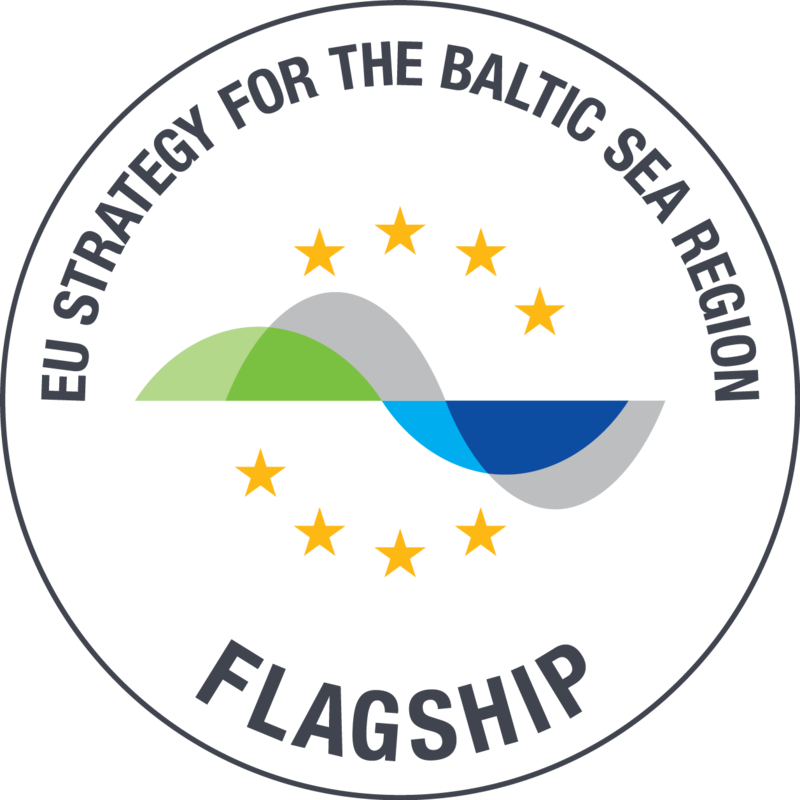 The main purpose of the Action Plan is to convey background information and analyses on cross border mobility; to encourage and support practical cooperation activities among the BSLF members; and to present recommendations to the governments of the Baltic Sea Region and the CBSS concerning cross-border mobility. The Finnish Minister for Foreign Affairs Erkki Tuomioja received the Action Plan at the Round Table and welcomed the concrete co-operation plans of the BSLF: “the Baltic Sea Region has economic potential which we have not yet fully taken advantage of. When planning the ways to find new methods we have to take international competition and more globalized markets into account. These can bring entirely new challenges that we have to face. We should address these challenges through close cooperation and agreements between all the Social Partners.” The Round Table meeting highlighted the necessity of timely, accurate and comparable information on labour mobility. This is a basis both for practically useful statistics and for the development of strategies and actions. 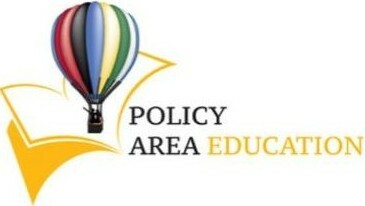 The expert presentations are available under downloads. On 13 September, 2013, the members of the BSLF Enlarged Steering Committee met at the Secretariat of the Council of the Baltic Sea States in Stockholm for an overview of the BSLF activities and upcoming events. The meeting was chaired by Mikko Mäenpäe, President of the Finnish Confederation of Professionals (STTK), Chairman of the BSLF until 2014. Chair Mikko Mäenpäe welcomed the participants of the BSLF Enlarged Steering Committee with a short update on the current activities of the BSLF and a note on the possible engagement of BSLF in the framework of the Baltic Development Forum meeting and the CBSS summit in Turku, June 2014. On the discussion table was also the agenda for the BSLF Round Table meeting in Helsinki on 1 November, 2013, which will be hosted and chaired by Chair Mikko Mäenpää and will be focusing on the two priorities of mobility of labour and youth unemployment. The Round Table is the annual open main event of the BSLF, involving a wide range of stakeholders from social partners and others. It focuses on one or a few main themes each year which will are defined in a work programme. The Round Table is aiming at raising awareness and visibility of topical issues within the BSLF remit, by adopting a joint resolution for dissemination to social partners and decision-makers. The focuses of the resolution will are also defined by the work programme. This year’s Annual Round Table meeting focused on two main subjects: Youth Employment and Mobility of Labour. Both subjects are of particular importance for the labour market development and consequently for the sustainable economic growth in the Baltic Sea Region.